In a public appearance touting her upcoming talk show on Wednesday, Kardashian gave few details about Odom's condition, saying it was his story to tell. 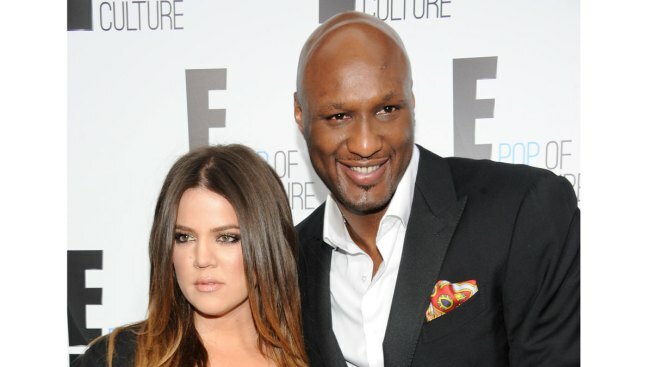 Kardashian had filed for divorce from Odom, but she halted those proceedings after he was found unconscious last October, from an apparent overdose of cocaine and other drugs. "He's doing amazing, and I'm so proud of the strength that he has had to fight that battle," said Kardashian, part of the reality TV juggernaut that includes "Keeping Up With the Kardashians" and, at one time, "Khloe and Lamar." The little-known FYI channel is premiering "Kocktails With Khloe" on Jan. 20. The show, filmed in a replica of Kardashian's house, will feature celebrity guests and approximate dinner parties she throws at her home.